We have over 50 years experience in monumental masonry. We offer beautiful signs that we can create custom made. Established in 1957 F.J. Stevens & Son is a family run independent business. 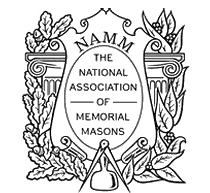 Unsure as to which memorial stone to choose? There is no need to worry, F.J. Stevens & Son offer you free advice and can help guide you through the process at this most difficult time. We offer a large selection of lawn type headstones and individually designed memorials. Please click here to view some of our recent work. We have also now opened a workshop located in Barnstaple. You can read more about here. We understand the pain and sorrow of losing a much-loved companion and friend.